5 Beds, 3 Bathrooms on a 976m2 Block! We are excited to present ‘2 Echidna Parade, North Lakes’ to the market! Built by McCarthy Homes, this 2-storey over-sized property is situated in the Bridgehaven Estate of North Lakes and boasting a HUGE 976m2 allotment! Complete with 5 generous bedrooms or 4 with a Study, 3 full bathrooms, 4 spacious living zones including an enclosed media room, ducted air-conditioning, double side access with plenty of room for a pool, 6kw solar, 4 x water tanks and a shed. 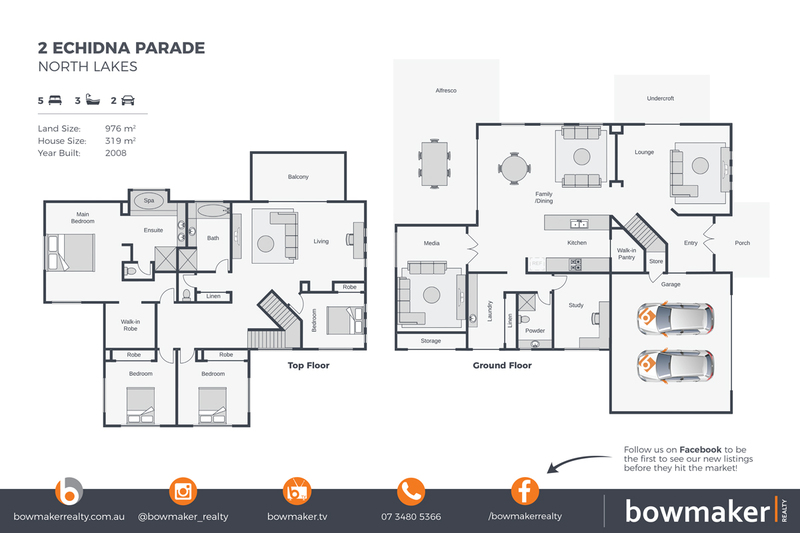 A comprehensive list of special features, inclusions and extra information for this property can be found online at www.2echidnaparade.com!